I am excited to announce a new one day floral styling and photography workshop with Leigh Chappell at Eggington House, Nr Leighton Buzzard, Bedfordshire on Tuesday September 25th 2018. This is a hands on workshop suitable for anyone wanting to spend an inspiring day with like minded people immersed in seasonal flowers in a beautiful setting. Eggington house is a 17th century family run Manor house owned by the Garrigue family. The house has a wonderfully relaxed atmosphere with plenty of picturesque corners both inside and out for us to practice our photography in various lighting conditions. The wedding marquee set up in the grounds is a wonderful space in which to make our bouquets. 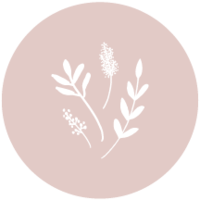 Leigh Chappell is an experienced floral designer and wedding florist and with gentle guidance from her, you will be able to choose a selection of flowers to design your own hand-tie bouquet. Late September is a beautiful time in the garden when the colours are rich and vibrant and there will be plenty of british grown flowers and textural foliage from local growers available to make an arrangement unique to you. With an artisan ribbon added for a finishing touch you can go home with a truly beautiful arrangement. The morning will be spent creating a hand-tie with Leigh and after a light lunch prepared by our host Suzie, I will guide you through various lighting scenarios so you can capture your image beautifully for visual media. No doubt there will be plenty of Instagram chat a long the way and we’ll explore how your bouquet really can come alive in different lighting situations and what works well in visual story telling. The cost for the day is £150 and will run from 10am to approximately 3.30pm with all refreshments, lunch and flowers included. You will need to bring your own camera ,but a smart phone is fine for this workshop too. If you need any further details or have any questions about the day, please don’t hesitate to ask. It would be so lovely to see you there. Would you have any workshop earlier then September? I would love to be part of this workshop. Could you please let me know how can I sign in.